How bout a mid-week giveaway!? 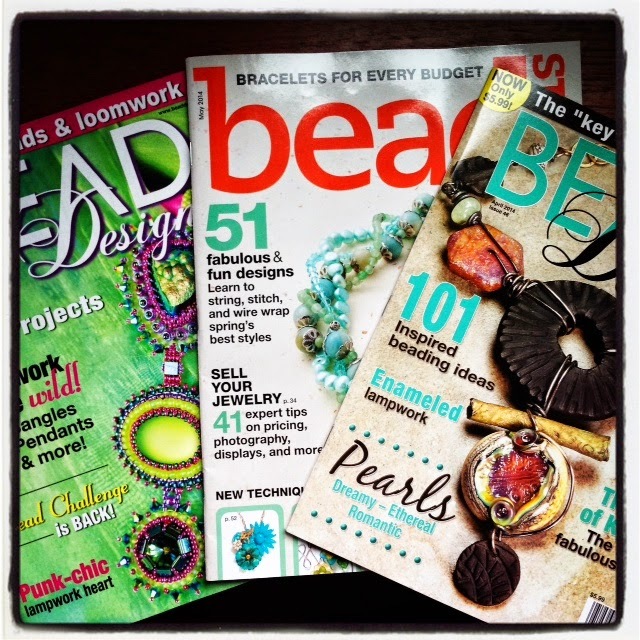 I have 3 current issues of Bead Design Studio and BeadStyle magazines. You may even find a few of my projects in these! To enter to win, please leave a comment on this post, and tell me what your favorite beading magazine is and why! Share on your favorite social media sites and get extra entries, leave a comment for each social media share. Domestic and International entries accepted! These magazines retail for $5.99 each. The total value of this giveaway is $17.97!!! oh! i'll pick a winner tomorrow morning, around 8am est. Thank you for a great giveaway, I'd love these!!! I was subscribed to Bead Trends, but unfortunately the magazine stopped being published. I currently enjoy Beads & Beyond. Jewelry Stringing is my favorite. 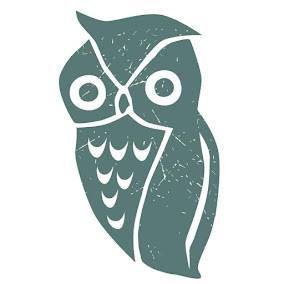 It has accessible projects and designers I like. I have been thinking I'd like to subscribe to another magazine, and have yet to decide on which one. This could help! Thanks for the giveaway. Stringing has always been my favorite. It has lots of inspiration! My favourite magazine is beads & beyond at the moment its very much my style. Thanks for the chance to win! I would have to say jewelry stringing or Jewelery Affaire. I purchased creative jewelry 2005-20011 on cd and you have many projects on that disc. I'm a huge fan of your work. I love jewelry magazines. They are just as much an addiction as beads! Belle Amoire always stuns and inspires me, and sometimes Jewelry Affaire has pieces that intrigue me. I also like Stringing magazine because of the sheer number of accessible projects in them. Nice giveaway! I like Jewelry Affaire because it takes beading to a whole new level that you would not see in any store. I also commented on my FB jewelry page. I would love to read and see more, but we don't even get all these magazines to Finland, not as retail issues anyway and all jewelry magazines are quite expensive for us. My favourites anyway are Belle Armoire and Step by step wire, both inspire me again and again! I like all of them, but I would probably pick Belle Armoire. Such original designs. I like Stringing the best. Always intriguing designs. And people I know and admire. I don't think any magazine can replace Bead Trends--my very favorite from the first to last issue. Presently, I enjoy reading a wide range. Belle Armoire is probably my favorite for its lush photography and challenging designs. Congrats to you for your publications! My favorite is Bead Style. I also love Jewelry Stringing. I love all the jewelry mags and I'm always looking at back issues for inspiration! Thank you for this awesome giveaway! I'm a huge fan of Jewelry Affair, the pieces they show just spark my creative juices! Bead Trends was my favorite and I continue to go through all my back issues. Stringing is my favorite current magazine. Thanks for the chance to win some new magazines! I really cant say which magazine is my favourite, Because I never had a chance to buy even one(Being in india and not really good at overseas shoping). I oggle at all the of them on whichever site i could find them(sadly only the covers). It would be my first bead magazine if i get to win your giveaway. Thanks for the chance. Thank you for having this giveaway. I like Jewelry Stringing a lot - lots of great ideas. I especially like the annual 101 Bracelets, Necklaces and Earrings - an awesome collection of ideas and it seems to show lots of different designers. I love Bead and Button magazine. It always has a variety of projects in each magazine. Jewelry Stringing is my favorite, although I miss their old format. I miss seeing season related designs. The new category format is fun and it is always exciting to see how artists interpret them. Honestly, I wish they could combine both formats in each issue! I also really like Jewelry Affair. It is a beautifully designed magazine. Thanks for the giveaway! Bead Style, picked up a current issue. I keep all my books and manuals on the table and by the bedside for inspiration. Problem is if I get into them late in the evening all I want to do is work on the project imagined the night before. I have gotten out of bed to go to my workspace! Hmm, I think my fav right now is step by step wire jewelry, because I'm currently fascinated with adding more wirework into my jewelry. I would love to win these! Thanks for the opportunity. It fascinates me to see what people create and always inspires me. Hi I really enjoy Bead Style for the fast designs and great pictures. I also pick up Bead and Button to ogle the seed bead designs! I would like to start. I only have a beading book for now, no favorite mag. Great giveaway! I love Bead buttons, as I like their designs and all the great articles for all levels of beaders! I love all of them, but I just got a copy of Jewelry Stringing and it is awesome. I love all of the full page photos of each piece. There are so many inspirational designs. It's hard to say...I so miss Bead Trends, too. I think all the beading magazines are really wonderful! My favorite is Jewelry Stringing. I miss Bead Trends too. 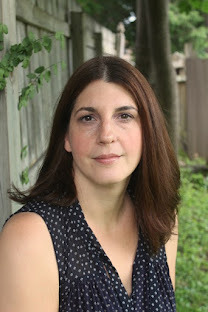 Hi Lorelei - Love, love, love your blog and all your projects - you're more inspiring than any magazine, lol. But I have always enjoyed BeadStyle - lots of tips & tutorials, projects easy enough for a beginner but challenging enough after you've been at it awhile. Thanks for all you do!